The Fairfax Melbourne Publishing Pre Press Age Imaging department endeavours to deliver either press or digital ready images for all our publications and to ensure our quality and services are or at the highest possible standards for our different Clients specifications. Within our daily production requirements and deadlines as a Pre Press Imaging department I was asked to research and locate a specific tailored training course for the Pre Press Imaging staff that focus solely on understanding the basic predictability of Colour Management, ICC profile workflow and Monitor Calibration with Validation. This will ensure that the Pre Press Imaging team in the future will be confident and able to do their own validations of image files via a calibrated Eizo monitor soft proofing setup system, or evaluate of digital proof via a JUST ColorMaster 2 DI viewing box. The overall grounding and importance's of Colour Management environment in our area is very important to us as we deal daily with critical colour evaluation of supplied digital image files from all different sources. "We notice a real need to meet & improve our colour management skill set across the whole team." Therefore, we contacted David Crowther from Colour Graphic Services informing him of our requirements and he was able, with his extensive expertise, course materials, software, hardware and attention to detail provide us with a tailor made intensive CMC training course program that met all our requirements, production deadlines, and funding.­ As a result we have seen greatly improved decision making within my team in managing colour images prepared for a variety print and media products. The Age Pre Press Imaging team now have the ability, accreditations and knowledge base in having images totally colour managed and maintaining a high level of colour consistency across all products. These change have come about with changes to current fundamentals of practical colour management practices and procedures set up for their correct image usages, ensuring predictability and fewer surprises when the end product is published", says Stephen Wilson, Imaging Team Leader, The Age Newspaper, Melbourne. "Working with David Crowther, Director - Colour Graphic Services and CHROMAtrain instructor is a delight, his knowledge & experience ensured efficient colour management training delivery tailored to our specific needs and requirements". Complete Colour Printing in based Cheltenham, Victoria. 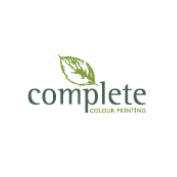 Late in 2011, Complete Colour restructured and revamped its business and this required PrintSpec ISO 12647-2 training for new staff members and re-implementation. PrintSpec reports allow them to track, evaluate, maintain and fine tune colour systems to ensure offset and digital print hit ISO 12647, which is a common objective for printers and clients alike. Because it improves colour consistency in an organisation while reducing makeready times and waste, PrintSpec is the ideal tool for colour professionals with an interest in producing high-quality output that complies with the targets and tolerances of ISO 12647. PrintSpec allows printers to generate comprehensive ISO 12647 pass/fail reports from the small press control strip placed along with production CMYK printed work. Complete Colour director Geoff Lawyer says: "Working closely with David Crowther is an absolute pleasure. His expertise and attention to detail is what makes our implementation a success. He is very strict with guidelines and passing the requirements for ISO certification; this keeps us on the ball and certain that we meet the appropriate." A preferred partner to many of Melbourne’s largest advertising and creative agencies, Egoprint has a reputation for superior quality print, specialised finishes and delivery that is second to none. Its facilities are state-of-the- art, its product exceptional. In late 2011, Colour Graphic Services was able to provide a thorough, one-day procedures. The consultation covered set-up of CTP dot gain to suit press conditions, press tests and PrintSpec report software training for analysis and evaluation of press results in production. The implementation of Mellow Colour PrintSpec for ISO 12647 is another feather in the cap at Ego. Printing to the numbers allows the most efficiency across their business and helps quickly identify the reason for any problems. Egoprint’s Haydn Breheny says: “PrintSpec pinpoints the problem in one swift scan. We can tell if our press is right up to standard or not and if there is a problem matching the proof. We do not waste precious production time arguing where the fault is. 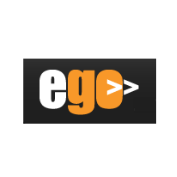 We can rapidly look for other causes, such as poor proof or file issues.” Rather than wait on client press approvals, Ego can print to an ISO standard from correctly profiled proofers, resulting in perfect proof matching. 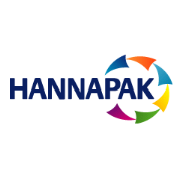 Quality assurance is important to Hannapak with commitment to customers through investment in quality assurance systems, process and test equipment. Hannapak already held ISO 9001 for quality , and is now ISO 12647 compliant through Mellow Colour PrintSpec . It uses an X-Rite product across its fleet of presses known as IntelliTrax automated scanning. Ultra-fast, IntelliTrax automatically scans the colour bar of a typical press sheet in less than 15 seconds with the ability to measure special colours, Pantone colours, non-process colours, and paper colour. IntelliTrax instantly reports these results on-screen, so press operators can quickly make adjustments and reach approved colour faster. Sam Hanna, Hannapak director of sales and marketing, says: “After implementing the X-Rite IntelliTrax devices and the Mellow Colour PrintSpec software solution, we have seen faster makeready, improved quality control, the ability to have extensive results reporting and a prompt ROI for the system. To say the least we are very happy with the solution." 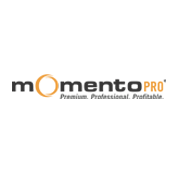 The clients of this Gold Coast-based company demand consistency and require repeatability with their print work. In the short-run offset market, this can be hard to achieve. With this in mind, they wanted an easily recognisable and independent accreditation that showed its commitment to colour accuracy, while providing the tools and skills to monitor and adjust their pre-press equipment and colour reproduction out on the press. 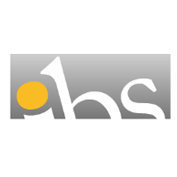 Having recently expanded and installed a second KBA Genius 52UV within the past 12 months, IBS decided it was time to fine tune its existing ISO 12647-2 procedures and get the printers on the floor more involved. Early in 2012, Colour Graphic Services was called in to provide an intensive ISO 12647 training program and consult on the required critical process control points in the print process. Our print production and customer service staff all need broad colour management knowledge. David specifically tailored Colour Graphic Services' CHROMAtrain colour management course to our needs allowing our staff to enhance their colour knowledge and assessment skills, which has led to better instruction for customers on how to manage their colour and fewer surprises when customers receive their print. David was efficient, thorough and accommodating and will be crafting future workshops to our needs. Thanks David. 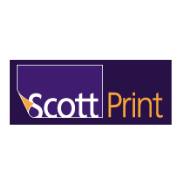 Scott Print found that they achieved colour faster, so less time on makeready, also found to be using less stock to achieve pass sheet and repeat jobs are easily matched again as it’s just a case of running to the ISO Standards. He continues “David Crowther has been inspirational during and after installation, his knowledge is second to none in this area and he has a calm mannerism allowing you to learn quickly and absorb the Information required to use the software. David is a true gentleman and is passionate about colour management and the benefits you can and will achieve using the PrintSpec Software; he is not just a supply and fly, he’s a true professional giving you the back up required. If you want continued support there really is only one option and that is David Crowther and Colour Graphic Services." 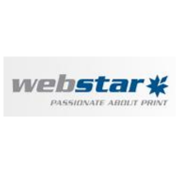 Webstar is Blue Star’s specialist web printing division. Webstar, which produces ProPrint at its Silverwater plant, offers state-of-the-art magazine, catalogue and commercial print operations with a focus on quality and efficiency. With the help of Mellow Colour PrintSpec and X-Rite scanning solutions, Webstar can audit each print run to the required standards, which is important to the magazine publishers who own the prominent mastheads seen on every shelf at the newsagents across the country. Colour Graphic Services continues to provide high-level ISO 12647 advice, support and audits Webstar sites in Silverwater and New Zealand. Webstar pre-press manager Stuart Trueman said: “We found that through the use of PrintSpec and understanding our colour process, a lot of efficiency was gained throughout the whole process from pre-press to print. Colour was far more predictable, and good copy was achieved quicker with reduced waste. “ PrintSpec gave Webstar the ability to objectively measure and view colour, taking away the subjective opinions when analysing colour. It improved buy-in for the colour and quality process from prepress and print room, removing some long established barriers between departments. 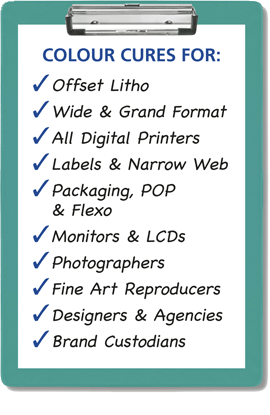 Still owned and operated by the Cester family (bringing with them a whole host of print passionate people )we have the Whirlwind Print of today, fast moving, quality & service driven and providing complete print solutions. Whirlwind found after an evaluation of their procedures and processes that they would benefit from expanding their internal staff training by coming up to speed with best practice techniques and systematic approach to achieving ISO 12647-2 consistent print colour quality. From a production perspective it has helped eliminate the guess work. It is far quicker to analyze numbers that results. To analyze the numbers and make the adjustments and then review the results on the fly has enabled us to provide a more consistent result. 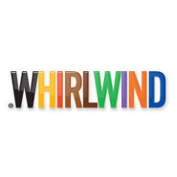 Whirlwind will have also upgraded PrintSpec to the consultant level, to enable real time on line ISO reporting and colour analysis from their press side Komori auto scanning systems.